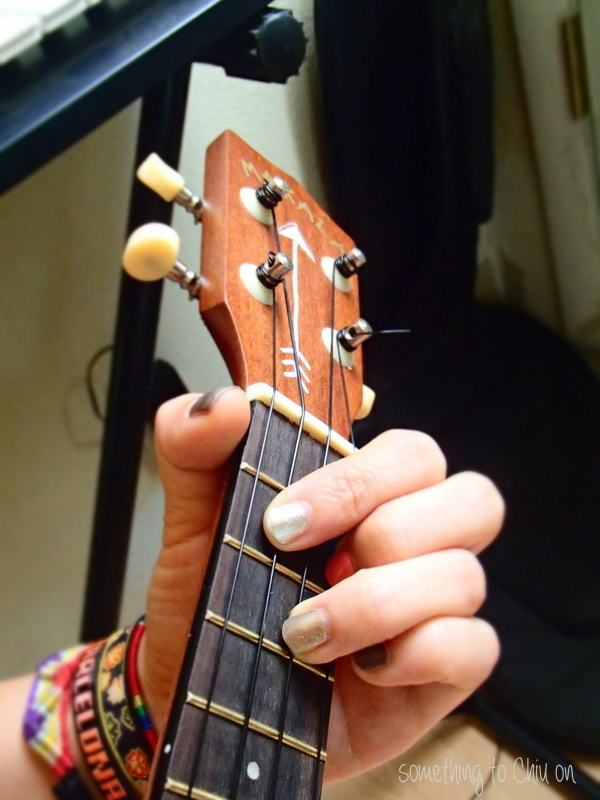 I saw this blog post by Free People the other day and I loved the idea of jazzing up your instrument without adding anything too drastic. 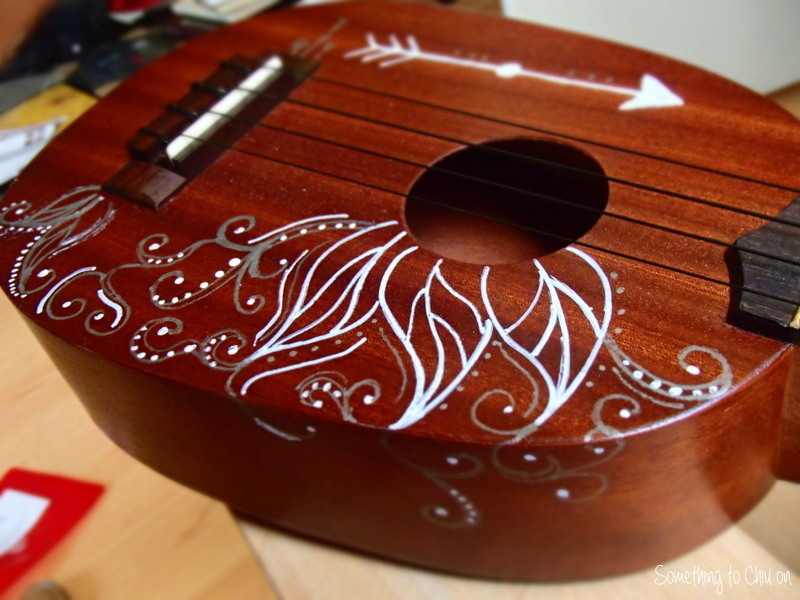 I wanted to try this out and draw my own design on my ukulele. 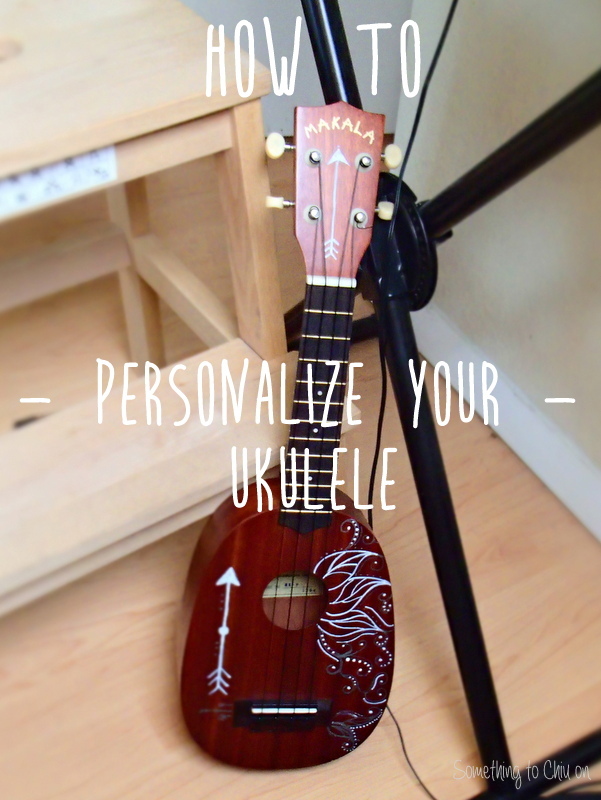 Its a really simple way give your ukulele some personality! I free-handed mine with white and silver paint pens (the same kind of pens I used for my DIY Mug project). 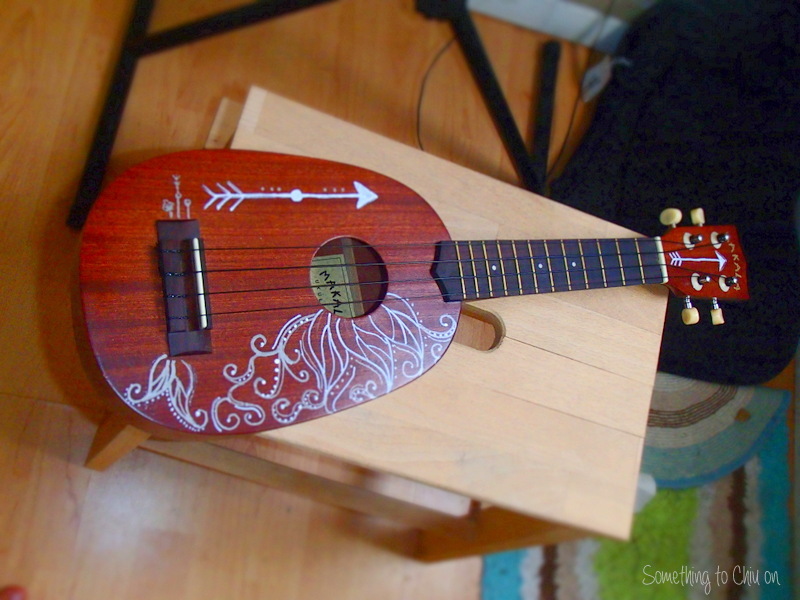 I was a little iffy at first about drawing straight onto my ukulele, especially since it was so permanent. 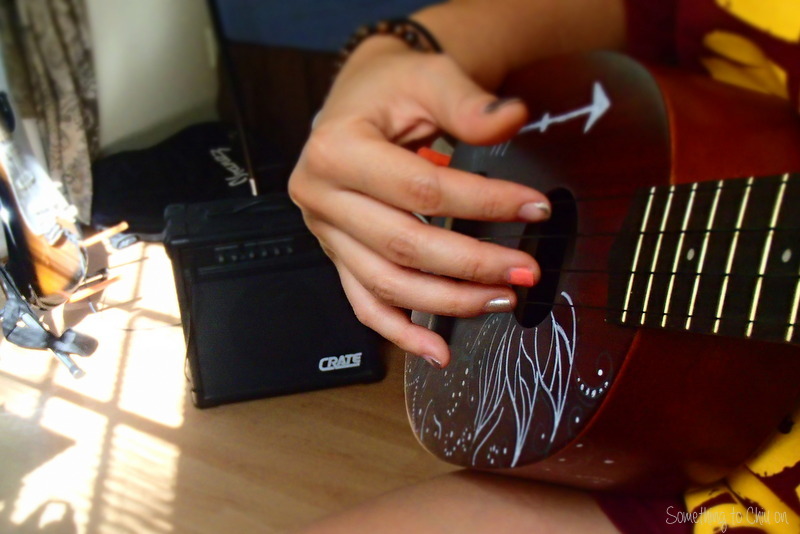 I got nervous about making mistakes and was afraid of ruining my beloved ukulele. I think that’s always the toughest part about art projects – getting started. I always get caught up on making it perfect before I even start. But the best part about art is that it doesn’t have to be perfect. I experimented with a few designs on paper before I finally just had to make myself start drawing. Once I got started I really liked how it looked! 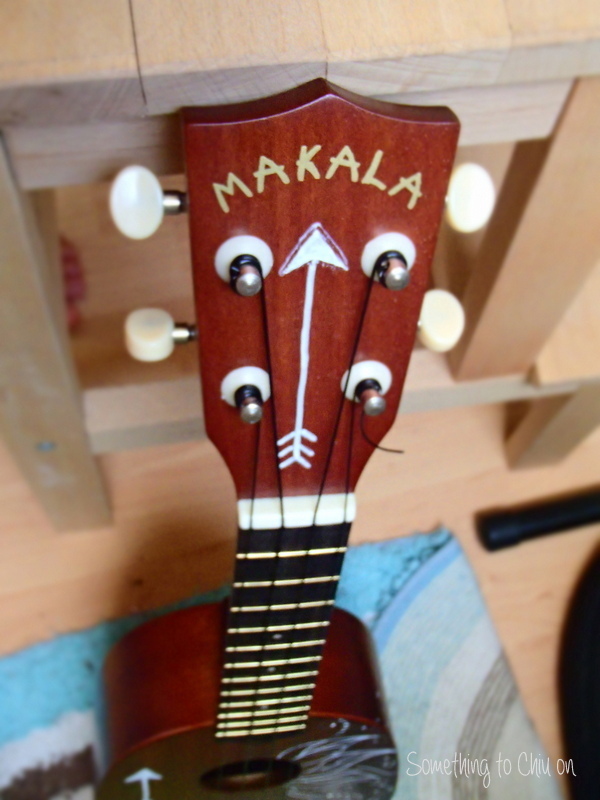 The imperfections and distinct hand-drawn marks give the uke a natural and boho look that I love.